Today, three important ordinances were introduced that advance Vision Zero. First, Councilperson Cherelle Parker introduced Automated enforcement of speed on Roosevelt Blvd. This is an incredibly important bill to get through Council. Over the last two years, the Bicycle Coalition, Vision Zero Alliance, Latanya Byrd, and others, worked to get this legislation through the Pennsylvania Legislature. And while that was happening, 21 people were killed in traffic on Roosevelt Boulevard in 2018. This legislation will fine drivers who go 11mph or more over the speed limit on Roosevelt Boulevard, and will make that street safer while the city and state continue raising money to completely re-engineer it. This is a big win for Philadelphia. 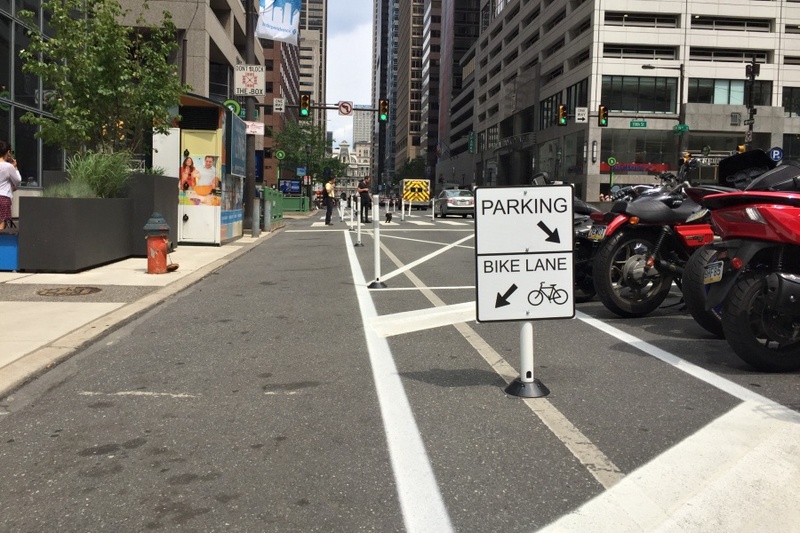 Second, Council President Darrell Clarke announced he is introducing legislation making JFK/Market protected bike lanes permanent. This is awesome news. The Bicycle Coalition worked with community organizations, stakeholders, legislators, families, and so many more people, to make this happen over the course of several years. We have a full rundown of the many years it took to get the JFK and Market safety changes done, here. Third, Council moved on a bill authorizing new class of civilian officers to assist the Philadelphia Police Department in monitoring traffic safety. We previously testified in favor of that legislation, and you can read our testimony here. None of this would be possible without our members and supporters who have worked so tirelessly to make change on Philadelphia’s streets. Bicycle Coalition volunteers have gone to public meetings, signed petitions, shared petitions, gone out on the street and conducted surveys, attended bike rides, attended walks, publicly advocated for better streets and helped change the conversation around street safety. Some of our Super Volunteers — most notably, Latanya Byrd — gave up entire days of her life and took off work to travel with us around the state to get legislators on board with Vision Zero. It’s because of those people that change happens, and streets are made safer for everyone. Of course, there’s more we need to do to make streets safer and make Philadelphia a better place, and we hope those supporters who helped this happen stick with us. Our organization, and the city as a whole, appreciates the work you do! Want to learn more about Vision Zero and how you can be involved? Attend our conference this weekend! Tickets/information here.